Call me old fashioned but I love a good Sunday dinner. Especially right now, because Downton Abbey is on Sunday nights! If you follow me on Twitter (sorry Amy) you know I am obsessed with that show and engage in some very excessive live tweeting. They’re not particularly good or funny tweets… but I did get a couple retweets on one particularly snappy tweet haha. VICTORY! Anyways, this Sunday I wanted to make a yummy, comfort food dinner to enjoy before the two hour event at 9. My intention was to make SkinnyTaste turkey meatloaf. I even got all the ingredients out and mixed up the ingredients. However, my over was preheating during this time and I turned around to see THIS. 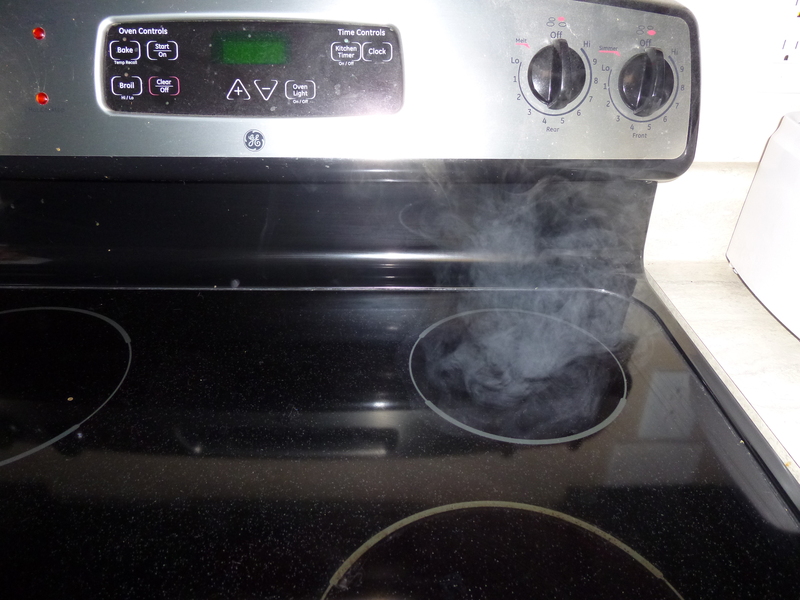 Smoke was billowing out of the stove! Initially, I panicked. Nobody wants to be THAT girl that sets off the fire alarm in the building. But then I remembered that the night before, in a completely misguided attempt at domesticity, I had sprayed over cleaner all over the place inside the oven. I was supposed to wipe it out with a wet sponge in the morning. Clearly… I forgot. Moral of this story… don’t clean your oven. So the oven was out of commission for dinner. I had to let it cool down completely and wipe it out before we could use it. I was also getting really hungry. 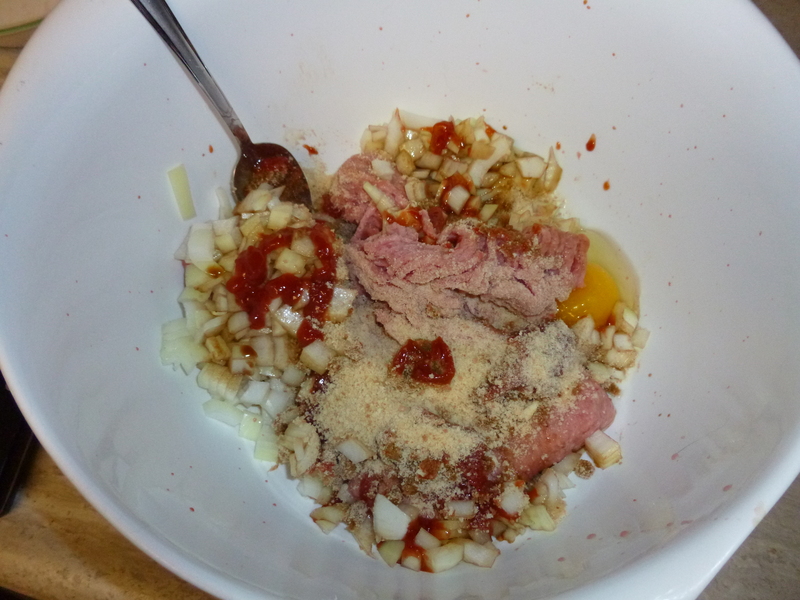 Even letting a meatloaf cook for an hour was looking daunting. 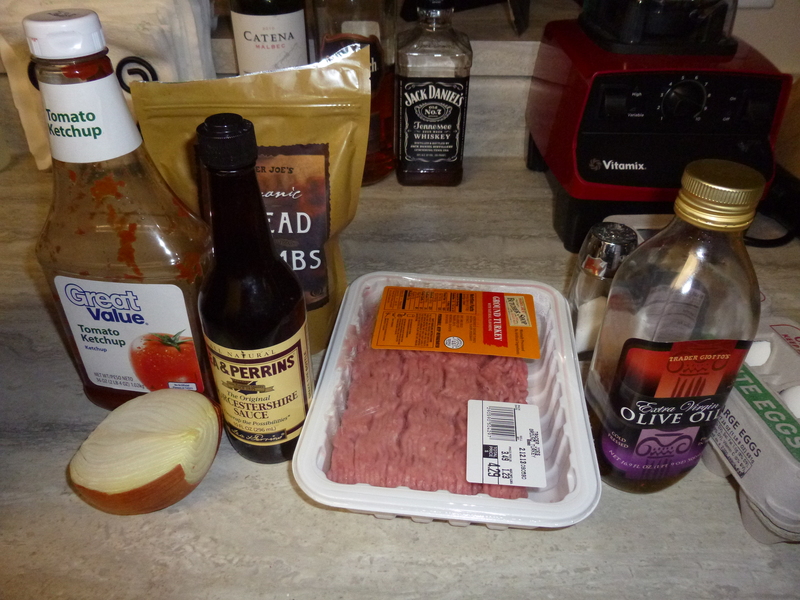 So I changed gears and turned my meatloaf mixture into turkey burgers. 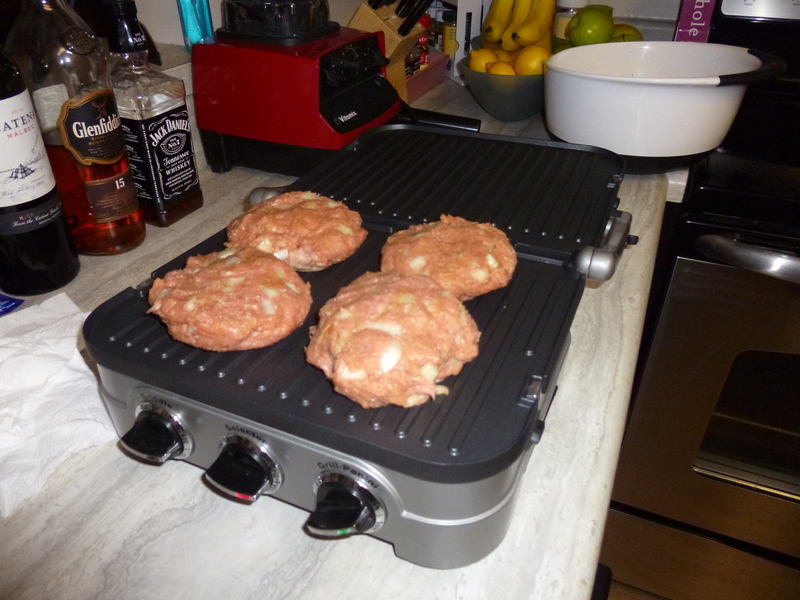 Thankfully my awesome brother bought me this super sweet Cuisinart 5 in 1 griddler for Christmas this year. I intended to use it mostly as a griddle for pancakes but it can also function as a grill(something I have always missed about apartment living)! 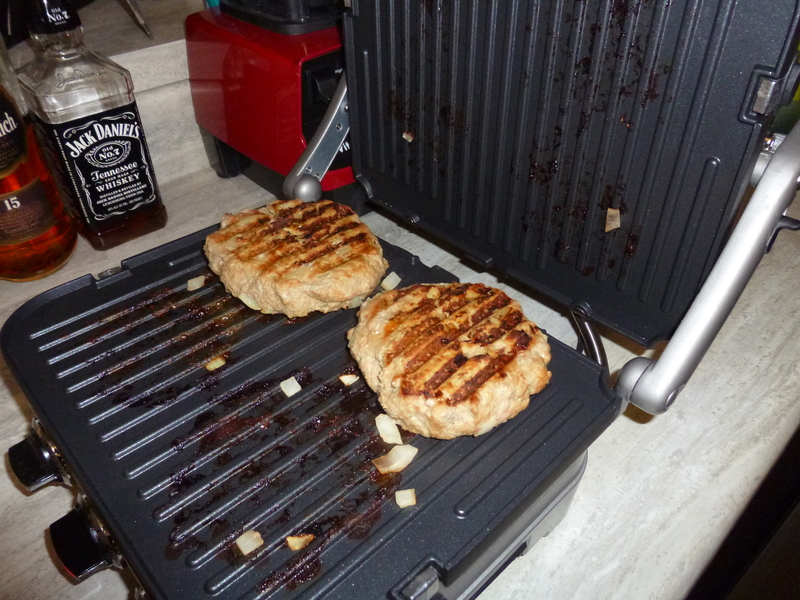 We closed the top for quicker cooking and look at those grill marks! I probably used more onion than I needed some pieces started jumping ship, but that was ok. 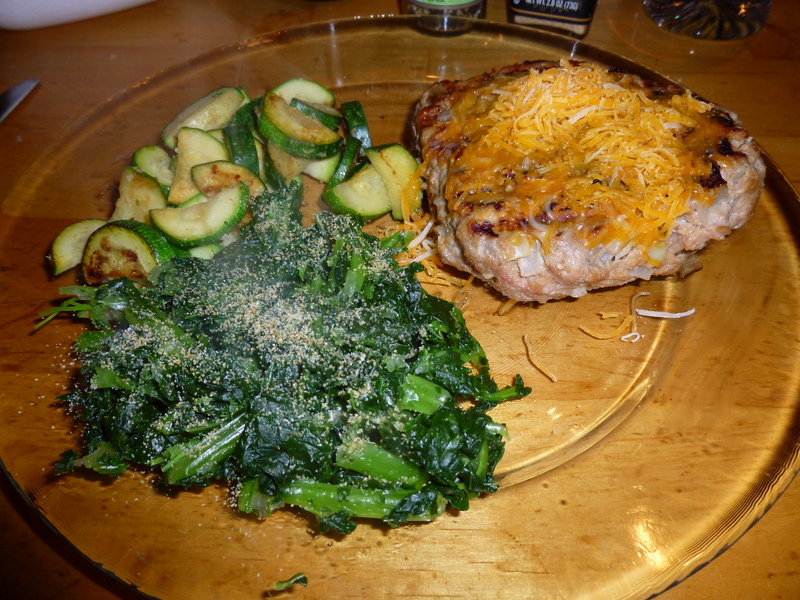 Topped it with some shredded cheese (because burgers without cheese are un-American) and served it with a side of sauteed zucchini and steamed kale with garlic salt. I normally HATE frozen greens like spinach. I think they just do not taste good. But Trader Joe’s Frozen Kale is the jam. If you haven’t tried it… please do. I always keep a bag in the freezer just to have on hand. The greens are still crunchy and full of flavor. I’m 3 episodes into Season 3 (I think I have 2 more before I’m completely caught up!). So, I can almost go back to twitter on Sundays! 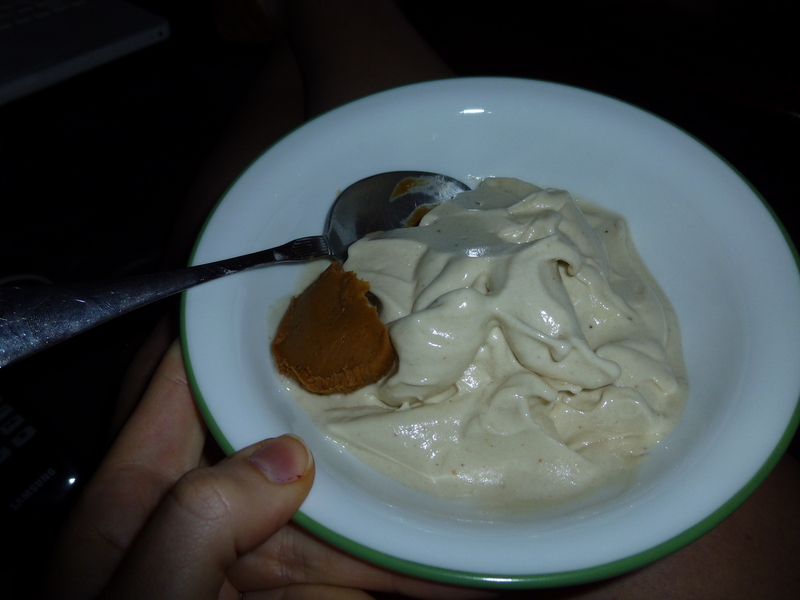 And double yum on that crunchy cookie butter!